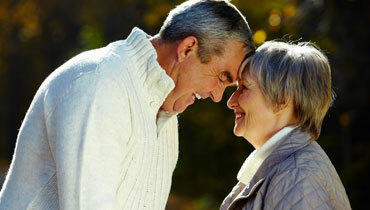 Dove Hearing provide the most comprehensive hearing service across Staffordshire. Whether you are looking for a hearing test, new hearing aids or tinnitus managment we can help you at home or at one of our hearing centres. We are a family run business that have operated in the area for over 15 years with a combined experience of 40 years and take a great amount of pride in providing a friendly, affordable and totally confidential service. We have hearing centres based across Staffordshire so you will never be too far away from one. Each hearing centre offers a completely free hearing test and consultation with one of our hearing aid audiologist. We have state of the art testing facilities and use the very latest technology to diagnose any hearing issues you may be having. We also offer a full range of repair and maintenance services for hearing aids purchased from us as well as third party devices. Should you require any hearing aids, we stock an unrivalled range of brands including ReSound, Widex, Phonak, Oticon, Starkey and many more. We are upto 40% less than our national competitors. We are constantly keeping up with the latest developments and you will find everything from invisible hearing aids to digital hearing aids. Prices start from £599. If you think you have a hearing problem or you feel your hearing is deteriorating in any way, then why not book a free hearing test today? No matter how big or small your problem is, it is essential to get expert help before the problems worsen. We offer this service completely free so you have nothing to lose. You will be under absolutely no obligation to buy and we will never pressure you into a purchase you do not need. There are many reasons why certain clients are not able to make it into one of our hearing centres which is why we now offer home hearing tests. We can arrange for our hearing consultant to visit your home and perform a comprehensive hearing test. This service is particularly popular amongst our elderly clients who have mobility issues and we will also be able to recommend you the perfect hearing aid should you require one. Invisible hearing aids have soared in popularity recently due to their incredibly discreet design and top quality performance. Many people are sensitive when it comes to hearing loss but with invisible hearing aids there really is no need to be. They fit deep into the inner canal but are very comfortable and customers barely notice wearing them. They offer virtual invisibility which means they are completely undetectable offering 100% discretion. Tinnitus is a distressing condition that can happen to people of all ages and from all walks of life. There are many different root causes or "triggers" for tinnitus and it is vital to establish what these are in order for us to advise. It could be something as simple as a build up of earwax and our clients are often amazed with the results. There really is no need to suffer from tinnitus and we have a wide range of options available. A build up of earwax can cause many long term hearing problems so it is important to get it under control sooner rather than later. Excessive earwax can not only impair your hearing, but lead to infections as well as symptoms of tinnitus. Getting the wax removed is a straightforward process and totally painless we use micro suction which gently removes wax. We highly recommend not performing the process yourself as you can cause problems with the outer ear.